I got the opportunity to spend the day with one of my close friends today. We found a lot of super cute thrifted items, so I just wanted to show you the newest editions to my closet! 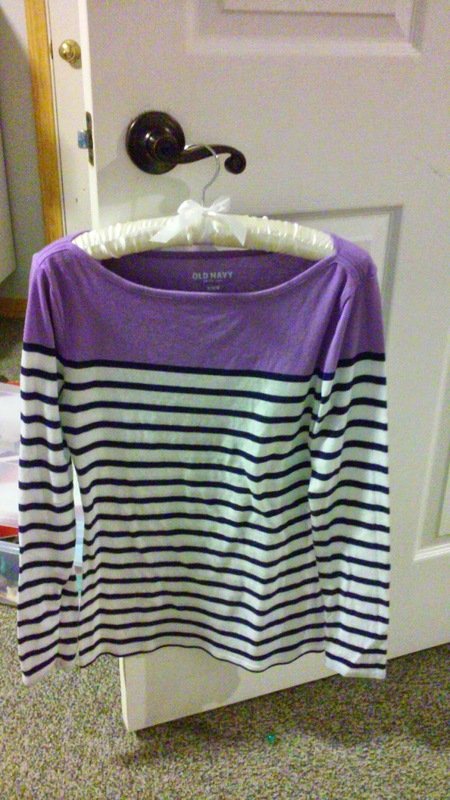 I love buying used clothing because it gives me an opportunity to get creative when styling unique pieces, and I also know that when I show up wearing a shirt to school, five other girls won't be wearing the exact same thing. It's kind of fun knowing you own something completely different from everyone else! Not to mention, you spend considerably less money. 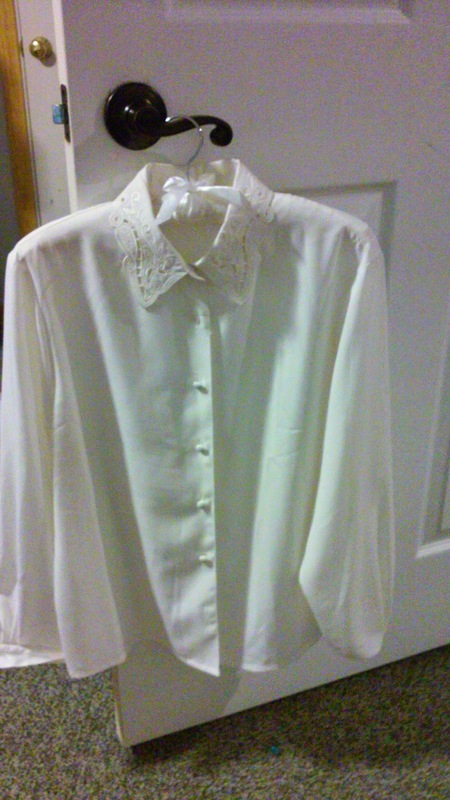 This button-up has a really beautiful lace collar, and I think it would look really nice tucked into an a-line skirt. 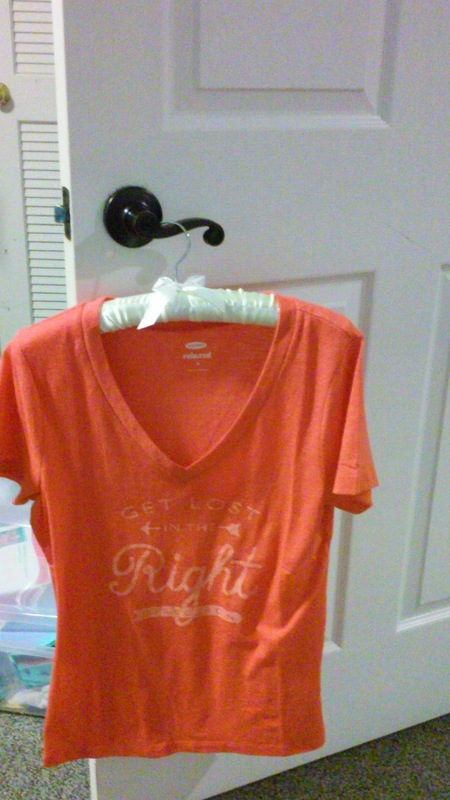 I actually got this one at Old Navy today, because who can resist cheap graphic t-shirts? This is basically a combination of two of my favorite things; cozy knits and stripes! 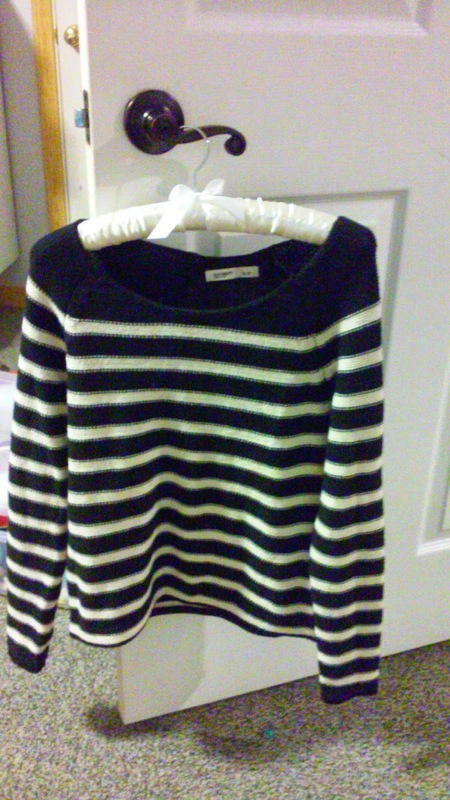 Black and white also make this a very classy piece that I'm excited to wear! Hmm...looks a little familiar doesn't it? I just can't get enough of stripes. But who can blame me, they're a staple in every wardrobe. Take advantage of this long weekend to have some retail therapy!